…Now we have the rare opportunity to hear a full lecture from that class at the top of the post. 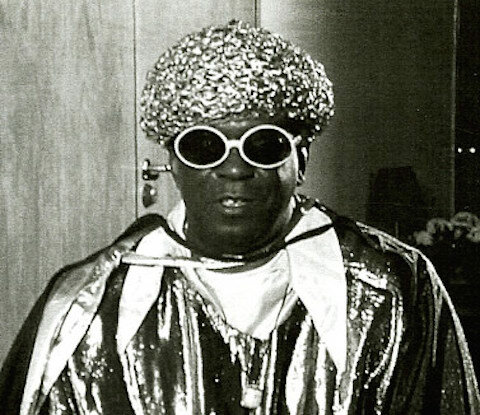 Listen to Sun Ra spin his intricate, bizarrely otherworldly theories, drawn from his personal philosophy, peculiar etymologies, and idiosyncratic readings of religious texts. Hearing him speak is a little like hearing him play, so be prepared for a lot of free association and jarring, unexpected juxtapositions. Luckily for us, some sly student captured one of those lectures on tape.